The king's three daughters - battle-hungry Gaela, master manipulator Reagan, and restrained, starblessed Elia - know the realm's only chance of resurrection is to crown a new sovereign, proving a strong hand can resurrect magic and defend itself. But their father will not choose an heir until the longest night of the year, when prophecies align and a poison ritual can be enacted. 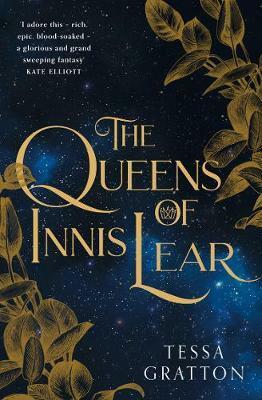 Refusing to leave their future in the hands of blind faith, the daughters of Innis Lear prepare for war - but regardless of who wins the crown, the shores of Innis will weep the blood of a house divided. Tessa Gratton has wanted to be a paleontologist or a wizard since she was seven. Alas, she turned out too impatient to hunt dinosaurs, but is still searching for a someone to teach her magic. After traveling the world with her military family, she acquired a BA (and the important parts of an MA) in Gender Studies, then settled down in Kansas with her partner, her cats, and her mutant dog. She now spends her days staring at the sky and telling lots of stories about magic.